Toyota adorned its Hilux with a limited edition Dakar model, but Mitsubishi has something to say with its Triton Athlete. Charlen Raymond investigates. We’ve heard it so many times before: the Toyota Hilux is the best bakkie; the Hilux is South Africa’s best-selling vehicle, the Hilux this and the Hilux that. Rightly so, the bakkie has a reputation bar none and the trusted reliability comes standard. With that, no one can argue. Still, our local market is so rich with options that you want to take the chance and venture out of your comfort zone, but it’s safer to stay in your lane and continue the tradition that Grandpa and Dad set in place. However, with every new generation we’re confronted with something new. The options and choices we are faced with are much more and bigger. That's why manufacturers try to bring something new to the table as often as they can, just to keep the public’s interest. In Toyota',s case they expanded the Hilux range with a Dakar model, and Mitsubishi added an Athlete model at the top of the Triton range. Suddenly, you’re confronted with two special edition models. Both Mitsubishi and Toyota find their roots in Japan and the two manufacturers managed to build good bakkies in its own right. Locally it’s the Hilux that rules the roost and far outsells the Triton. Just last month (October 2018) the Hilux sold more than 3300 units, while Mitsubishi just mustered 31 units. That is shocking, to say the least, but it speaks greatly of the trust our people have in the Hilux. And for that, you can’t fault Toyota. But although the Hilux is doing well, the Dakar models have been added to celebrate Toyota’s success in the gruelling Dakar Rally. Only 6000 models were produced and within months it’s all been racked up. Even if the Mitsubishi Triton Athlete is not as exclusive as the Dakar, it still has the necessary exterior bits to make you take note of it. Around the bakkie's paintwork are black and orange stickers to underline the Athlete theme, whereas Toyota only brought the Dakar emblem to the party. Toyota’s approach is far less minimalistic than Mitsubishi’s and the bakkie is more recognisable by its new face. This very face also heralds the design for the Hilux's next life cycle. When it comes to the wheels the Triton is kitted with more purposeful looking units, and not with ones that look as if it was carried over from the rest of the range; as in the Dakar’s case. 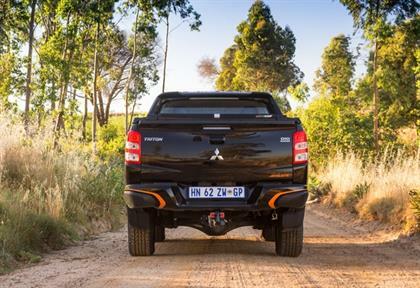 What is noticeable is that Mitsubishi opted to not have an aluminium roll bar fitted onto the rear of the bakkie, but instead a neat looking plastic unit installed, called a styling bar. Not only does it look visually striking, but it also works well with the Athlete theme. Toyota continued with the aluminium roll bar and brought the Dakar emblem onto that as well. The two loading bays also have different covers; the Triton Athlete features a hydraulic cover as opposed to the Hilux Dakar’s cloth version. The Athlete also comes standard with a tow bar. Both bakkies have that something to differentiate it from the other models in their respective ranges, but the Triton takes it a step further to stand out in the market. We’re all very familiar with how a Hilux looks, but the Triton Athlete will keep your attention. Most of your time being in contact with either of the two bakkies will be from behind the steering wheel and is it important that this space plays its part. When you climb inside, both bakkies should indulge you in that something special. Given that they are special editions. In the Triton’s case the seats are covered in black leather with orange inserts covering the middle sections. And in some parts, where the panels meet, are orange stitching. The Toyota, on the other hand, has an interior that is rather sombre, with black material used throughout; nothing to make the interior look and feel different. When it comes to design the Triton beats the Hilux hands down, but it loses ground when the media systems come in for scrutiny. The Mitsubishi’s unit looks and feels a bit out of fashion, whereas Toyota managed to bring its latest multimedia system to the Dakar. The touchscreen of Toyota’s system did not find favour with me, but it sure beats the usability of the Triton’s one. 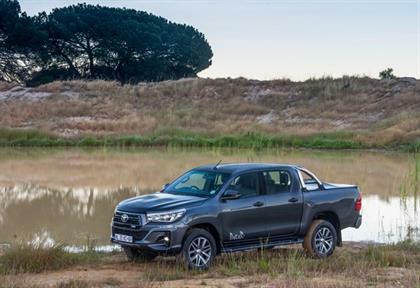 Both bakkies allow for media and cruise control to be operated from the steering wheel, but Toyota’s layout seems kinder to those instinctive moments. Even when connecting your phone to the Bluetooth requires you to be stationary in the Triton, while in the Hilux you can do it on the fly. Where the Triton well and truly beats the Hilux is with its keyless start and entry. Just hit a button on the door handle, with the key in your pocket, and the bakkie will either lock or unlock. There’s even electric seats for the driver, something the Hilux Dakar lacks. It comes down to personal preference as to what is important to you in a bakkie’s interior, because hardened bakkie owners will not be bothered with the Triton Athlete’s electronica. In that case you can almost justify Toyota’s decision not to add so many options to the package, but overall the Triton’s interior just feels that much more ‘special edition’; poor media system or not. 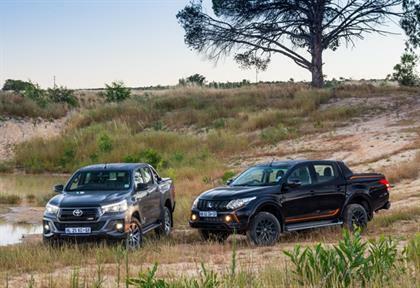 The Triton Athlete and Hilux Dakar both use the same turbocharged diesel engines that does duty in their respective ranges, and power outputs remain unchanged. In the Athlete’s case the 2.4-litre engine churns out 133kW and 430Nm, and in the Dakar the 2.8-litre delivers 130kW and 420Nm. What’s noticeable is that although the Triton has the smaller engine, it delivers slightly more power than the Hilux. Furthermore, the Triton is supported by a weight that is 240kg lighter than the Hilux Dakar - 1 855kg vs. 2 095kg. One can feel the difference in weight when driving, yet the Dakar channels its power to the road in a much better manner. The ease with which the Toyota delivers its power is supported by a six-speed manual gearbox, and this Mitsubishi is only available with a five-speed automatic gearbox. Unfortunately, an automatic Dakar was not available for this comparative test. The extra gear in the Hilux is endowed which adds to better fuel consumption over the Triton and can you toggle between driving modes (Eco, Normal, Power). The Triton may have fixed paddles behind the steering wheel with which you can change gears, but it does not offer the choice for different driving modes. Even though the Hilux Dakar weighs more than the Triton Athlete and its power figures are a bit down, it still feels like the more powerful between the two. But it’s on the road that you really see what the two bakkies have to offer. Both are equipped with 4x4 systems that can be activated with the turn of the dial, but these bakkies are more than likely to spend their time on tar and in the suburbs. As is fitting of a good bakkie, a ladder frame suspension underpins the architecture and at the rear leaf suspension to ease the carrying of a load. The negative of this setup is that when you do not have a weight resting on the rear axle, the bakkie will have quite a bit of shake on it when you drive over speed bumps or any other rough terrain. Yet, Mitsubishi managed to make its Triton’s suspension softer than that of the Hilux. Maybe those 240kg plays a role, but the bakkie has a much softer ride than the Hilux. In the Hilux it feels like you’re driving a bakkie and the sheer size of the vehicle is pretty evident when you’re behind the steering wheel. Sight all-round is pretty good and you do feel a step above the rest when sitting in traffic. But you can’t shake the reality that this bakkie is big (which is definitely a good thing). Not that the Triton isn’t big; it’s just that you would much rather feel as if you’re driving a car than something big and heavy. 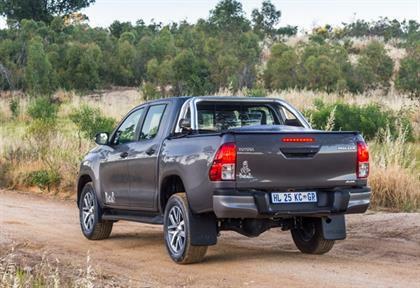 Passengers on the rear seat are usually your best point of reference when trying to understand the suspension setup, and the Triton did not generate as much critique as the Hilux Dakar. Toyota Hilux fans are probably readying their pitchforks by now calling for my head, but Mitsubishi really did manage something to make its Triton different. 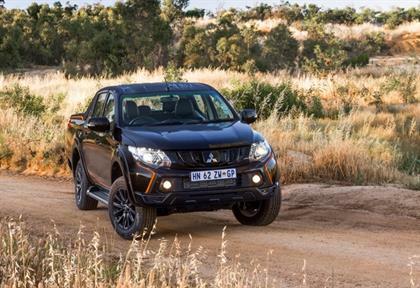 Not everyone wants their bakkie to drive like a car or SUV, but given market trends and the direction of the market, Mitsubishi is on the right track. We can debate forever over which bakkie is actually the better option and each point made will carry weight and merit. Yet, one can’t help but wonder what’s so special about the Toyota Hilux that it attracts an access of 3 000 new buyers every month. There is an aura and mystique about the bakkie and what it provokes in people, but in this company it’s just not that special enough. Mitsubishi’s Triton Athlete, seen as a whole, is far more appealing than the Dakar. Even though the Dakar beats it in a couple of areas, it’s time to stop ignoring this other Japanese offering. At R579 995 for the Triton Athlete and R601 100 for the Hilux Dakar Raider 4x4 (R621 000 for the automatic), you can’t look past the fact that the Triton’s package is better and more affordable than the Toyota’s. Tradition, reputation, reliability, good trade-in value… all count in the Hilux Dakar’s favour and they’re reasons enough to consider it. But, the Triton Athlete sheds new light on this segment and it would be a mistake to not at least see what the market has to offer.